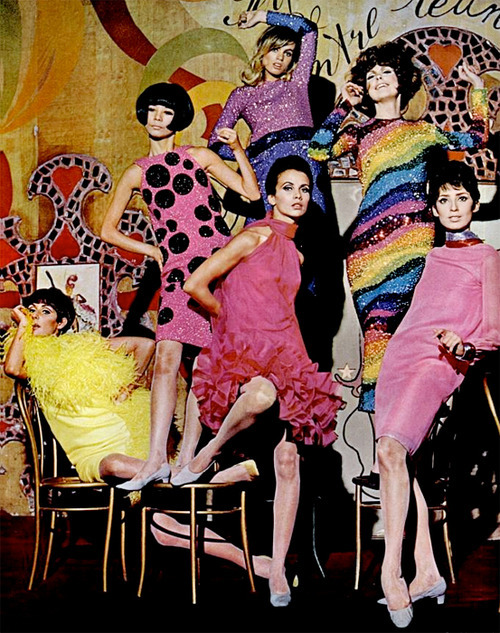 Pierre Cardin is one of my secretly-loved vintage designers. It all started with a 1960s royal blue wool coat with a quilted yoke, oversized Peter Pan collar, and the biggest, shiniest black buttons ever. I encountered it during an appraisal internship and have been looking for something similar ever since. From there it progressed to a co-worker’s black cardigan with an asymmetrical fastening, and then I was in a wedding and wore a purple dress slightly reminiscent of his famous bubble dress, and the rest was history. 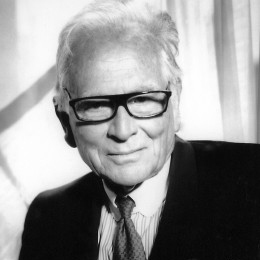 Pierre Cardin is an interesting study because he was really one of the first to embrace the concept of licensing, beginning in the late 1960s—literally selling his name to hundreds and hundreds and hundreds of products, probably for just about any product you can think of. Did sardines come to mind? There was a licensing deal for that. Orthopedic mattresses? Licensing deal for that. 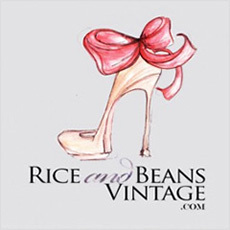 Couture clothing and accessories and olive oil and floor tiles? You better believe there was a licensing deal for all of those. While licensing one’s name is nearly standard practice now, fifty or so years ago, it wasn’t. 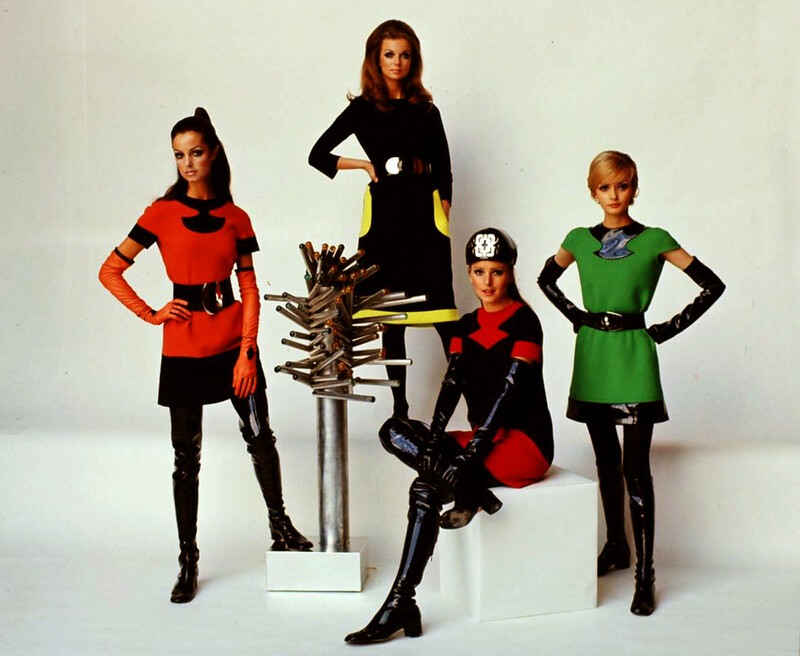 Not only did licensing make Pierre Cardin an influencing power, but his revolutionary designs did too. Cardin was born Pietro Cardin in 1922 in Venice and initially studied architecture before deciding to pursue a career in fashion after working as a cutter for a tailor. 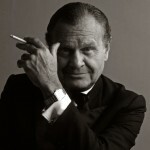 He moved to Paris in 1945 and worked as an assistant first for Jeanne Paquin, and then Elsa Schiaparelli before becoming head of workrooms at Christian Dior’s newly-opened couture salon in 1946. 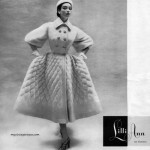 After much praise for his designs while working for Dior, Cardin started his own couture house in 1950. Nine years later, Cardin launched his ready-to-wear line, but retained his design vocabulary of using basic geometric shapes—circles, triangles, squares, cylinders, etc. (props to the time he spent studying architecture!). Here’s where all the licensing deals started to go wrong—although the concept was revolutionary, the sheer number of pieces of clothing (and other objects) with Cardin’s name on them worked to eclipse the innovative work he did in the 1960s with 2- and 3D molded applications and space-aged themes (which were really pretty awesome). For these designs, Cardin use a variety of materials (wool, metal, vinyl, plastic) and created new and interesting silhouettes, many of which were meant to be unisex (how practical they were for everyday wear is another subject, though). Whether you’re a fan of the space-age look and licensing deals or not, it’s hard to argue with Cardin’s success. Let’s be clear about one thing, though—if you ever come across one of those royal blue coats with the cool collar and awesome buttons, I’ve got dibs!